I recently read The Car and the City: 24 Steps to Safe Streets and Healthy Communities by Alan Thein Durning. The book was written nearly two decades ago and focused primarily on the Pacific Northwest, but many of the points made by the book are still relevant to today’s urban planning all over the country. I realize there many urban planning books available and I’ve read several. I especially enjoyed Jeff Speck’s The Walkable City, and Durning’s book — though much more succinct — covered the topic well with great suggestions. “Automobiles’ private benefits are enormous and well understood. Yet their abundance makes them the source of a disturbing share of social problems. They are the proximate cause of more environmental harm in any other artifact of everyday life on the continent,” he wrote. I’m a driver and my life getting around the Richmond region is dominated by the automobile. I’ve tried to work in more walking and biking (and even kayaking) opportunities for commutes when I can, but my transit is dominated by where my family and I chose to live — the suburbs. Suburbs were “made possible by automobile; now suburbs have made auto indispensable. People living in sprawl lack alternatives,” Durning wrote. Exactly. We chose to live the suburbs to be closest to the best schools in the best-run locality in the Richmond area, Henrico County. If I had my preference, I’d probably live in Westover Hills in South Richmond so we could be closer to the James River Park System with shorter bike commutes to work and available bus routes nearby to cover many more trips. It isn’t that simple, but we’d at least have more options away from the suburbs. Just because we live in the suburbs, we should not have to live without urban infrastructure. Safety is often lacking. We’ve built ourselves into an environment dominated by the auto. We can recover with sidewalks, bike lanes, trees and more mixed use to keep the retail within walking distance. Until we make those things happen, we have to live with the suburbs. Fixing streets is easier than you think. Consider how you drive — likely too fast. This is a problem for me, especially as my driving has become more influenced by my cycling habits. Bikes tend to go slower than cars, of course, but a speed limit should be the top speed, not a suggestion to maybe stay within 5-10 mph over that limit. Slower speeds save lives. Let’s build streets with more natural beauty, enclosed by trees and vegetation and encourage more pedestrian activity. More people should drive slower if the streets reflect the character of an expected speed limit. My Patterson Avenue commute is a good example of this. 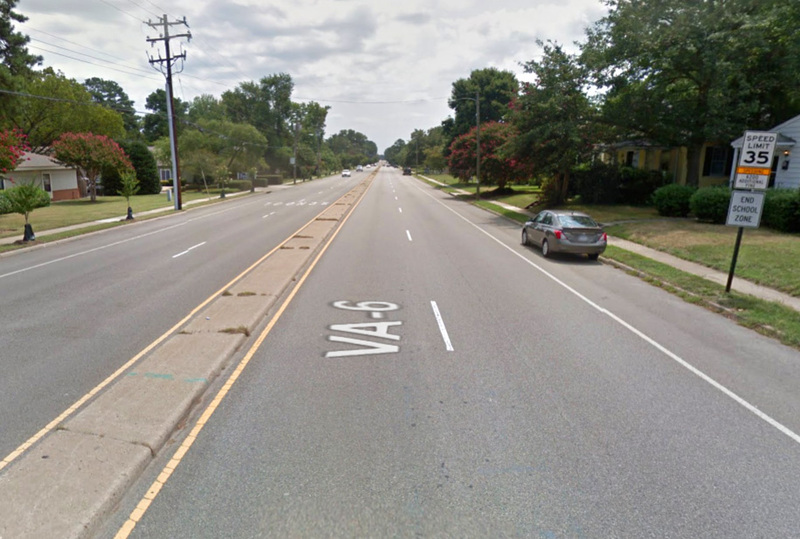 In Henrico, the posted speed limit on Patterson is 45 mph and the road is build like a 4-lane highway with a grassy median, no sidewalks and little vegetation to narrow the corridor, which does nothing to discourage higher speeds. That stretch is a nightmare for most pedestrians and cyclists. There is no way a bike can ride fast enough and there is little to no shoulder to stay out of the motorists’ way. Once Patterson reaches the city of Richmond boundary just west of Three Chopt Road, the speed limit drops to 35 mph. On my morning and afternoon commutes, motorists rarely stay at 35 mph, often pushing to at least 45 mph. Patterson is less like a highway from Three Chopt to Thompson Street. The road is more narrow, there is a narrow concrete median, there are parked cars and the street is more enclosed in spaces with street trees. Drivers headed east in the morning rarely slow due to these visual cues, but they should.